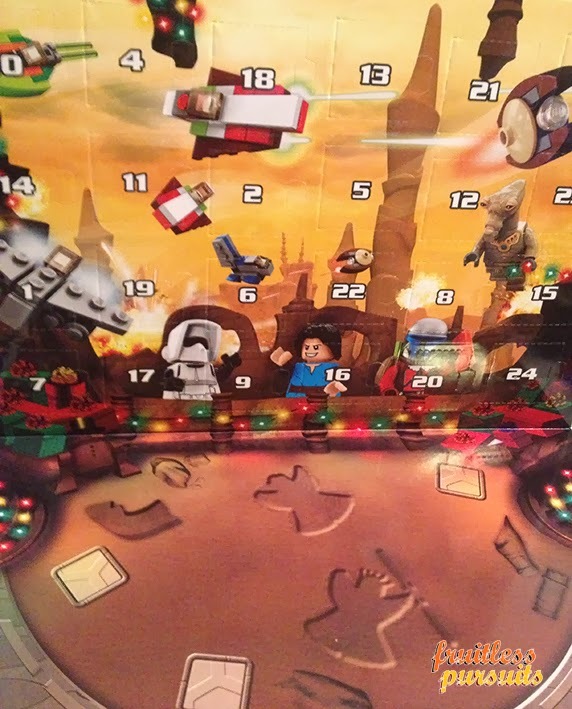 It's that most wonderful time of the year again already, where I get the sometimes dubious joy of opening up the Star Wars LEGO Advent Calendar each day and sharing its blocky, and often confusing contents with you, the reader. Last year was a big hit on the site (you can review that coverage here) and I'm hoping that this year will be just as exciting (even when the toys are not!). I know that there's a lot of parents out there who buy this calendar for their kids, open it up, and have zero idea what the hell they are looking at. Don't worry! I hope to have your back. And you may notice that this year appears to have an accursed Attack of the Clones theme, following on from last year's Phantom Menace. For context, this is because Lucas originally planned to release Clones in 3D this year and all the tie-in merchandise deals have long been done and dusted. Then we got the sudden surprise of him selling everything to Disney and they then decided, "No. Nobody needs to sit through Attack of the Clones again. No, George! No! People need good memories of Star Wars. Not convulsing and vomiting." Still, this is what we're stuck with. 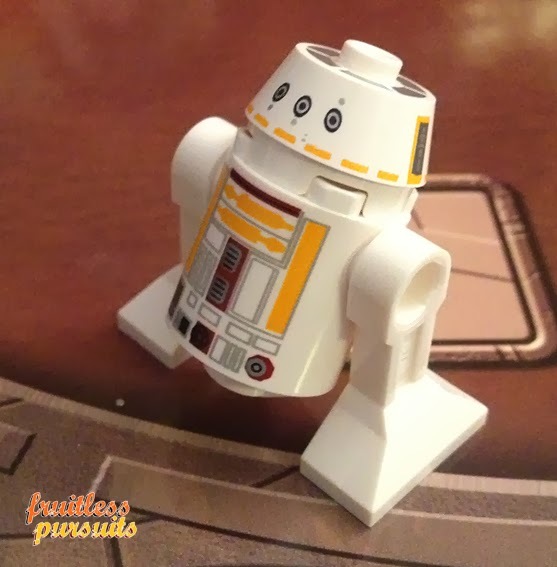 Chubby little three-eyed droid bugger! 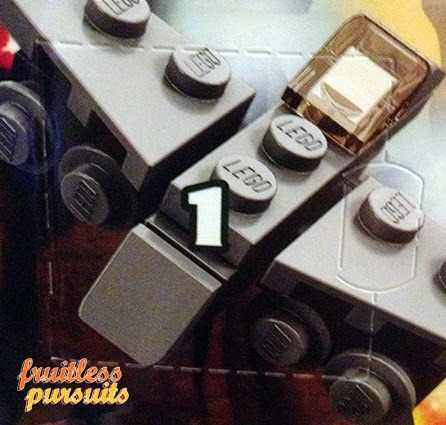 Any time we get a minifig of just about any description it's a win! (Trust me, it won't stay like this. This means we'll get some crazy random crap tomorrow... just you wait!) But today is a good start with this plucky lil fellow. So who is he? Now I don't know 100% for sure (the red markings on his front are incongruous with what I know) but I would guess that he's closest to G8-R3 who is actually not from Episode II, but from Episode I. He's one of the droids that tried to fix Queen Amidala's ship by rolling out onto the top of it while it was in flight and fixing it with his ineffectual pop out arm. What happened to him? He died, of course, obliterated by lasers or lost in space. So, when you give this to your kid today and you see his/her little face light up, be sure sure to recite the following: "That is G8-R3. He died. Horribly. They painted him yellow because he was a coward and he died a coward's death." Merry Christmas! Thanks so much, Lee! I have updated the post with the fresh info!